Put wheat grass into a pot, add 8 bowls of water and simmer for 30 mins. Add sugar to taste. Keep in a cool dry condition. 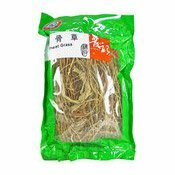 Simply enter your details below and we will send you an e-mail when “Wheat Grass (Chi Kuk Cho) (兄弟雞骨草)” is back in stock!